Same day dispatch on orders placed before 1pm. (This excludes any special order items). Next Day Delivery is available but please note that this only applies to orders placed Monday – Thursday, for orders placed Friday, Saturday & Sunday the next available delivery date with be Tuesday. We hope that you are delighted with your order. However, if for any reason you are not entirely satisfied, you may return any item in its original condition for a full refund within 14 working days of delivery. To do so please email info@levida.co.uk within 14 working days of receipt of the items. If you are returning the goods owing to defects, incomplete or incorrect delivery we will refund you both the price you paid for your goods (inclusive of the initial delivery charge) and the cost for the return postage providing that the return has been authorised by us and returned by the method specified by us. Should you choose to be return by alternative method we will only refund costs to the value of our preferred method of return. If you return items for reasons other than defects in the goods, incomplete orders or incorrect delivery, you will be required to pay for the return of the item(s) to us. Please ensure that the package is wrapped securely and for your protection we recommend that you use a recorded delivery service as we cannot accept liability for goods lost in transit. We aim to handle your returns within seven working days of receiving the goods. We will refund the price paid by you for the goods (including delivery charges in case of defects, incomplete orders or incorrect delivery) within thirty days of being informed of your request for a refund. Refunds will only be made to the account from which original payment was made. 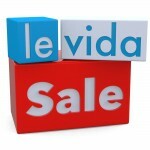 www.levidatoys.co.uk is operated by Linda Miller and David Collingwood trading as Le Vida. You may contact us at the following address: Le Vida, 1 George Street, Trimdon Station, Trimdon Colliery, Co Durham, TS29 6DY, United Kingdom. We will never share your information with third parties, nor will we send you our own promotional e-mails without your consent. Any promotional email that you receive from us will also allow you to unsubscribe to further email promotions if you decide at a later stage that you no longer wish to receive emails with news and special offers from Le Vida. If you wish to see or amend your information visit the pages available under the Your Account section on our website. Please note that your online account with Le Vida is password protected. You cannot access or view your personal information without your password. You are responsible for keeping your information on file with us up to date. You may review and change the personally identifiable information you provide to us at any time by emailing us at info@levida.co.uk. If you are a registered user, you can also review, change or correct your personal information at any time by logging into your account. Your personal information will be stored at facilities located in the UK. Le Vida will have no liability for disclosure of information due to errors in transmission or unauthorised acts of third parties. In addition, we may disclose any information, including personally identifiable information, to comply with any applicable law, regulation, legal process or governmental request. We will also release specific information in special cases, such as if there is an attempted breach of security or a physical threat to you or others. levida.co.uk do not knowingly collect information from children. If a child has provided us with personally identifiable information, a parent or guardian of that child may contact us if they would like this information deleted from our records. We will use reasonable efforts to delete the child’s information from our databases. A cookie is a piece of data that enables us to track and target your preferences. We may place a “cookie” on your computer’s hard drive so we can recognise you as a return user and personalise your experience and your use of levida.co.uk. The cookie will be stored on your computer’s hard drive until you remove it. We may also use temporary or “session” cookies to help you shop. These cookies will expire when you place an order. You can have your browser notify you of, or automatically reject, cookies. If you reject our cookies, you may still use the Le Vida site, but you may be limited in the use of some of the features. 1.1 Please read these Terms and Conditions carefully before using the website operated by Le Vida. 2.1 To order a product you will need to follow the ordering procedures set out on the relevant order page. 2.2 Details of the prices for the products, and the procedures for payment and delivery are displayed n or through our website. The price of any product is the price in force at the date and time of your order. 3.1 You must pay for the products at the time of order, at which time you will be notified of the current price. Le Vida is entitled to refuse any order placed by you. If your order is accepted, we will confirm acceptance to you be online electronic means (‘Confirmation’) to the e-mail address you have given us on ordering. The order will then be fulfilled by the date set out in the confirmation. To cancel your order after it has been dispatched to you you will need to follow the Returns Policy and Procedures. We reserve the right to alter, suspend or discontinue any aspect of our website or the content or services available through it, including your access to it. Unless stated otherwise, any new features including new content, and/or the sale of new products shall be subject to these Terms and Conditions. 6.2 If you would lie to review or modify any part of your Personal Information they you should email us at info@levida.co.uk. You are solely responsible in all respects for all use of and for protecting the confidentiality of any username and password that may be given to you or selected by you for use on our website. You may not share these with or transfer them to any third parties. You must notify Le Vida immediately of any unauthorised use of them or any other breach of security regarding our website that comes to your attention. 8.1 Personal use – Unless otherwise stated, text on our website is presented solely for your private, personal and non-commercial use. 8.2 Compliance with Law – We have used our best endeavors to ensure that our website complies with UK law. However, we make no representations that the materials on our website are appropriate or available for use in locations outside of the UK. 8.3 Exclusion of warranties – Le Vida makes no warranties, express or implied that making the products available in any particular jurisdiction outside the UK is permitted under any applicable non-UK laws or regulations. Accordingly, if making the products or any part available in your jurisdiction or to you (by reason of nationality, residence or otherwise) is prohibited, those products are not offered for sale to you. You accept that if you are resident outside the UK, you must satisfy yourself that you are lawfully able to purchase the products. Le Vida accepts no liability, to the extent permitted by applicable law, for any costs, losses or damages resulting from or related to the purchase or attempted purchase of the products by persons in jurisdictions outside the UK or who are nominees of or trustees for citizens, residents or nationals of other countries. No extraction of data or other information Le Vida site. Any extraction for the Le Vida site without the written consent of Le Vida in hard copy with original signature by a partner of Le Vida is strictly prohibited. 10.1 Le Vida makes no representations whatsoever about any other websites which you may access through our website or which may link to our website. When you access any other website you understand that it is independent from Le Vida and that we have no control over the content or availability of that website and shall not be liable for any loss or damage caused or alleged to be caused by or in connection with use or reliance on any content, goods or services available on or through any other website or resource. Any concerns regarding any external link should be directed to its website administrator or web master. We will endeavor to make our website available but cannot guarantee that our website will operate continuously or without interruptions or be error free and can accept no liability for its unavailability You must not attempt to interfere with the proper working of our website an in particular, you must not attempt to circumvent security, tamper with, hack into , or otherwise disrupt any computer system, server, website, router or any other internet connected device. 12.1 Limit of liability – If we are liable to you for any reason, our liability will be limited to the amount paid by you for the product concerned. This limit does not apply to any liability we may have for death or personal injury resulting from our negligence. 12.2 User’s responsibilities – You are responsible for ensuing that your computer system meets all relevant technical specifications necessary to use our website and is compatible with our website. You also understand that we cannot and do not guarantee or warrant that any material available for downloading from our website will be free from destructive infection, viruses and/or other code that has contaminating or destructive properties. You are responsible for implementing sufficient procedures and virus checks (including anti-virus and other security checks) to satisfy your particular requirements for the accuracy of data input and output. 13.1 Alterations – We may alter these terms and conditions from time to time and post the new version on our website, following which all use of our website will be governed by that version. You must check the terms and conditions on the website regularly. 13.2 Illegality – If any provision or term of these terms and conditions shall become or be declared illegal, unlawful, invalid or unenforceable for any reason whatsoever, such term or provision shall be divisible from the other terms and conditions and shall be deemed to deleted from them. 13.3 Jurisdiction – These terms and conditions and your use of our website are governed by English law and you submit to the non-exclusive jurisdiction of the English court. 13.4 Causes beyond control – Neither you or Le Vida will be held liable for any failure to perform any obligation to the other due to causes beyond your or LeVida’s respective reasonable control. 13.5 No waiver – Failure by either party to exercise any right or remedy under this agreement does not constitute a waiver of that right or remedy. to us via e-mail at info@levida.co.uk; or to you at either the e-mail or postal address you provide during any ordering process. We have taken great measures to ensure that your visit to Le Vida’s website is an excellent one and that your privacy is constantly respected. If you have a any questions, comments, or concerns about our privacy practices, please contact us by email at info@levida.co.uk. This site is operated by Linda Miller and David Collingwood trading as Le Vida, vat number 120301785.